The .ms country-code top-level domain name (ccTLD) is an extension that represents Montserrat. Domain names can be up to 63 characters, with a minimum of three characters, and can contain letters (a to z), numbers (0 to 9), and hyphens (except at the beginning or end of the domain name). You cannot register domain names with special characters such as & and #. At registration, the administrative and registrant contacts for the domain will receive two emails: a welcome message and an activation email. The activation email has a link that one of the contacts must click on within 21 days to accept the TLD Registrant Agreement and AUP policy and confirm the domain name contact information. The new .ms domain name will not be activated and will remain in "processing" for 21 days, until confirmed by clicking on the link. If not activated within 21 days, the domain name will be suspended, then deleted and refunded. Your .ms domain name renews before its expiration date. The renewal date depends on whether the domain name is auto-renewed or renewed manually. Auto-renewal is attempted on the first day of the month prior to the domain name's expiration date. If the renewal attempt fails, we re-attempt renewal on the 10th of the month and again on the 20th of the month. If we cannot auto-renew the domain name and you do not manually renew it by the 20th of the month prior to the expiration date, it must be redeemed. There might be a fee for the redemption. See Recovering expired domain names for instructions on the redemption. For example: Your .ms domain name expires on October 10. If your domain name does not renew automatically, you can renew it manually by September 20. For automatic renewals, we attempt to renew the domain name on September 1, September 10, and September 20. You will need an authorization code to make a transfer to another registrar, but the authorization codes created through the Domain Manager in your account are not valid. You must contact our customer support team to receive valid codes. When the domain name is moved, the registrant first name, last name, and company name cannot be changed. To change the registrant information on your .ms domain name, please contact our support department. 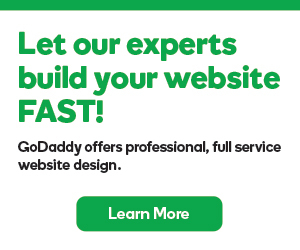 All other contact information can be changed through the Domain Manager in your GoDaddy account.